This case was built for the Morale Welfare & Recreation division of the Navy. 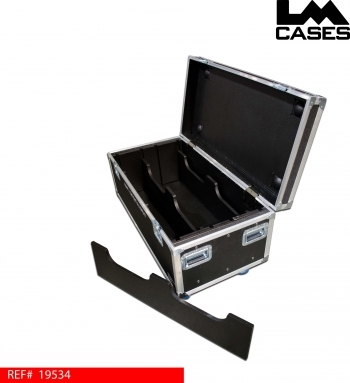 The case is designed to hold 1 ton and 2 ton CM Lodestar motors. The motors are held in interchangeable birch cradles. The cradles contour the exact shape of the motors allowing for safe transportation. New cradles to hold 1/2 ton and 1/4 ton motors can be purchased in the future to keep the case cost effective and versatile. 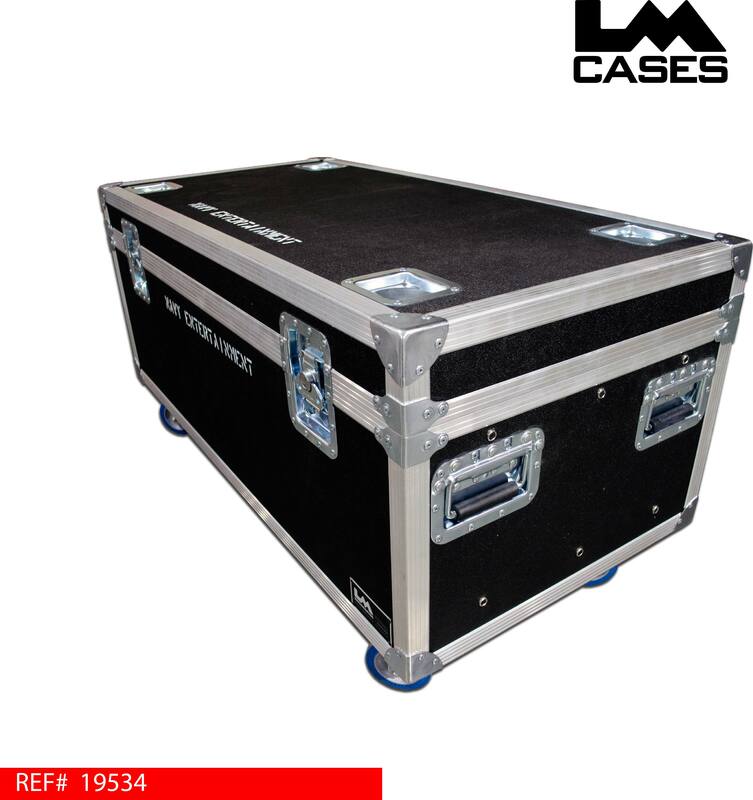 The exterior case is built out of 1/2" plywood and features 4" Colson casters, deep recessed handles, and stacking caster wells in the case lid. 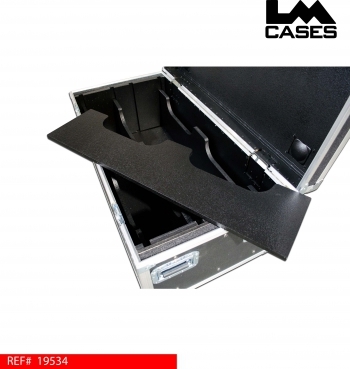 The interior case is sprayed with our black textured coating.